Service Excellence - Hammond Mfg. ¶Our difference is industry leading service you can trust. We know there are many enclosure supplier alternatives, but it’s our service that makes Hammond different. We’ve committed our people and resources to ensuring you get exactly what you need, when you need it. In today’s competitive business climate, the Hammond focus on service helps you where it counts most – on the bottom line. Hammond understands that inconsistent quality can cost you valuable time and money – that’s why quality is a priority for us. 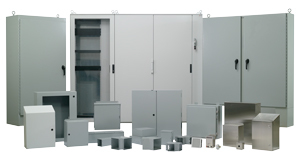 When enclosures protect very valuable equipment or are a key component to an OEM’s finished product, compromising on enclosure quality is not a valid option. 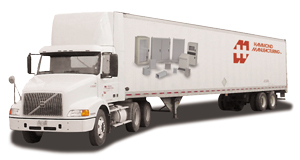 Our many years of experience developing and manufacturing enclosure solutions provides a confidence that Hammond will meet and exceed your quality expectations.